Talented singer, producer and songwriter signed to Questionmark Entertainment, Harrysong has the industry buzzing again, following up on the highly successful release of the smash Hit "Taiye Kehinde" and the VIDEO, Harrysong is once again putting out another captivating tone for his fans, this time featuring Label mate, Etee on the remix of the hit single hustle. The song shows Harrysongs diversity and his trademark Afro-hiphop-dancehall style. Harrison Tare Okiri a.k.a. Harrysong, an exponent of – in his own words (born in the early 80s) is a Nigerian singer and songwriter in the “Afro-hiphop-dancehall” genre. He hails from Delta state, Nigeria. Harrysong is an award winning Nigerian musician proficient with drums, including the konga; the piano and the flute, as well as playing the base and the acoustic guitars. a multitalented Artist, he is a vocal trainer. He also writes and produces for himself and others. Harrysong was born in Warri and spent his formative years there and later in Port-Harcourt. Both towns are in the heart of the Niger-Delta region in Nigeria. As an indigene of the restive region, Harrysong has denounced the violence in the area and espouses the belief that other mediums, including music, can be used to bring the grievances of the combatants to the fore. Despite leaving school early, he expresses himself smoothly and with clarity; and articulates his points with idioms and biblical allusions. At the turn of the century, Harrysong returned to Warri from Port-Harcourt and became a student of classical music at a religious organisation. In 2007, he moved to Lagos. Harrysong's major influences come from the Church where he started early under the guidance of his mum, the leader of a choir. Harrysong was 11. Since then, he has gone from strength to strength, and was a musical director for 15 years at the Church of God Mission in Benin, headed by the late Benson Idahosa. Before signing on to Questionmark Entertainment, Harrysong had performed weekly as the lead singer of live band shows at the Sheraton Hotel, the Niteshift Coliseum and O'Jez Bar, all in Lagos. 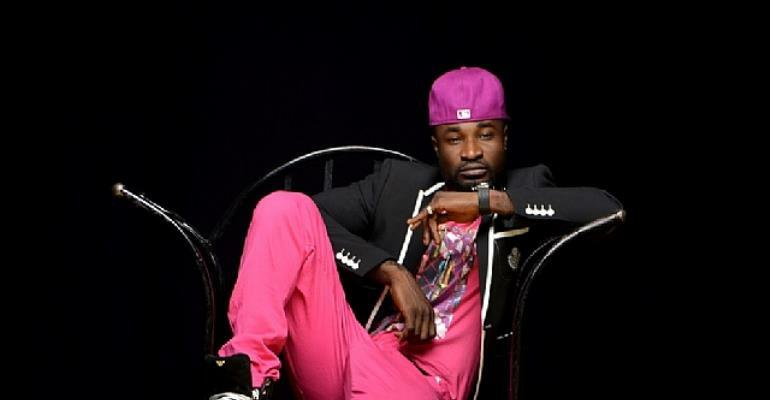 Harrysong's athletic and well-toned figure betrays the fact that he takes his stage performances seriously. At the time, he also went from studio to studio recording, until he met Del B, a producer. The duo teamed up as production partners and they have worked with notable names in the Nigerian music industry. These include Omotola Ekeinde, d'Supremes, Darey, Paul Play and Olu Maintain to name a few. The fusion of a premium brand and a market-savvy organisation which is Questionmark; and Harrysong – a natural talent who has virtually done nothing but music his whole life – made a telling mark on the Nigerian music industry. This explains why Harrysong's 16-track album – which was mixed and mastered in the UK – was well received in the Nigerian music circles. His debut album TESTIFY showcased his writing ability. His video for the hit single, 'I'm in love' topped charts from terrestrial TV, Silverbird TV to French cable network – Trace TV. Set to follow up on the success of his debut album and series of hit singles - 'I'm in love', 'I want you [Gyptian's cover]', 'Obu Ego', 'Obu ego' remix,'Baby Don't cry' and numerous colaborations with the likes of Sammy Okposo, Kcee, Vector to name a few, he employed the services of the man behind Davido's dami duro, Harrysong brought Shizzi on board to produce the smash Hit "Taiye, Kehinde" which is the official first single of his sophomore album. Harrysong is once again putting out another captivating tone for his fans, this time featuring Label mate, Etee on the remix of the hit single hustle. The song shows Harrysongs diversity and his trademark Afro-hiphop-dancehall style.